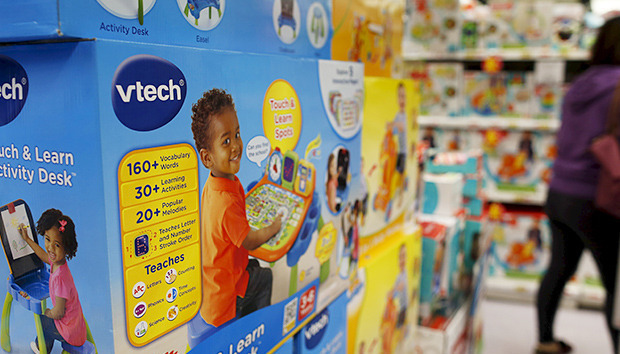 Despite widespread public condemnation, Hong Kong toy maker VTech is not backing down from a change in its Terms and Conditions ducking its responsibilities in the event of a breach. European customers now have to agree to a Terms of Service that includes the following sentence: “You acknowledge and agree that any information you send or receive during your use of the site may not be secure and may be intercepted or later acquired by unauthorized parties." This was in response to a data breach the previous fall which affected about 5 million parent accounts and more than 6 million children's' accounts. The children profiles included names, genders, birthdates, headshots and chat logs while the parent accounts included email addresses, passwords, secret questions and answers, IP addresses, and mailing addresses. "No company that operates online can provide a 100 percent guarantee that it won’t be hacked," said Grace Pang, head of corporate marketing at VTech Holdings Limited. "The Learning Lodge Terms and Conditions, like the Terms and Conditions for many online sites and services, simply recognize that fact by limiting the company’s liability for the acts of third parties such as hackers. Such limitations are commonplace on the Web." Frankly, it’s just plain lazy, and obviously no substitute for a competent data security program. Security experts overwhelmingly opposed the company's decision. "It won't hold water," said Troy Hunt, Microsoft MVP for developer security at Microsoft. He was involved in confirming the fact of the original breach, and the security issues that were involved. According to Hunt, the company's systems were vulnerable to SQL injections, had no SSL encryption anywhere, massively outdated web frameworks, and multiple serious direct object reference risks. The bottom line? A single individual with the ability to add numbers and use automated tools to mount a SQL injection attack was able to get all the data. When a company like VTech is demonstrably negligent with customer data, they have to face the law, he said. "Terms like this are unlikely to have any tangible impact on the outcome," he said. "Particularly in the European Union, where privacy laws are strengthening and penalties increasing... it's unlikely to make any difference to legal outcomes and merely serves to shine them in a bad light." This is why when companies do include similar statements in their terms of service, he added, they typically have some caveat such as "to the full extent permissible by law." "There are really no guarantees that a company can offer, we all recognize that," said Glen Segal, CFO at cloud productivity vendor Accellion. "But that doesn't mean you can shirk all your responsibilities for privacy, and that's what some of these companies are trying to do. It doesn't work from a legal perspective, and it certainly doesn't work from a business perspective -- especially when you're dealing with children's information." Companies should spend more time actually protecting themselves from attacks, instead of trying to protect themselves against liability, said John Gunn, spokesman for security vendor VASCO Data Security. "In many jurisdictions this is not legal as companies are barred from arbitrarily changing their terms and conditions without consent by existing customers, which we would imagine is a pretty big number in this instance," he added. "Nice try!" said Jeff Hill, channel marketing manager at security vendor STEALTHbits Technologies. "At a minimum, one has to respect their temerity." However, companies can't just deflect liability for harm they cause with a disclaimer, he said. "And what consumer is comfortable purchasing a product from a company that – up front - explicitly disavows any responsibility for their product’s impact on the customer? Frankly, it’s just plain lazy, and obviously no substitute for a competent data security program." Now, VTech, in addition to suffering a massive data breach involving children, and being publicly humiliated for its shoddy security, is also facing a public relations nightmare. "Consumers want to trust that the companies they interact with are protecting their digital identities under all circumstances," said Vanita Pandey, director of product at ThreatMetrix. "These connected consumers don’t care how their credentials got in the hands of a fraudster, only that they did." Meanwhile, parents are continuing to post sarcastic comments on the company's social media site, keeping up the pressure. "Thanks for letting all your customers get hacked and information about parents and their children getting out," wrote one parent on a Facebook message VTech posted wishing customers a Happy Valentine's Day. "Real great of you, disgusting business, putting our children in harms way!"